From our Injection Specialists, to our Management team, and to our Aesthetic Consultants- we know creating an amazing Houston medspa experience takes an amazing team. MD Aesthetica is one of the top centers for Botox, Juvederm, Resylane, Sculptra, Kybella, CoolSculpting, J-Plasma, Ultherapy, and microneedling in Houston. 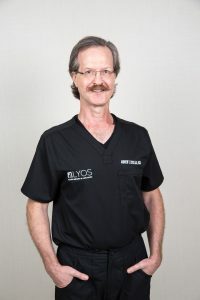 With over 20 years of experience, Dr. Lyos is a veteran plastic surgeon in Houston and The Woodlands, TX. After achieving his bachelor and medical degrees from the University of Michigan, he completed extensive training in general surgery, otolaryngology (head and neck surgery) and plastic surgery. Sherry Mitchell is a board-certified nurse practitioner whose top priority are her patients. She has worked in the healthcare industry for over 20 years. Sherry has extensive experience in Women’s health, medical weight loss and aesthetic medicine. She’s extremely skilled in injectables and also certified in lasers. Her positive attitude, high skill level and attention to detail lead to amazing results for her patients. Lizett Olvera our Coolsculpting expert offers valuable knowledge to our patients with over 6 years of experience in aesthetic, shes also attended Coolsculpting university. Lizett is passionate about helping others look and feel their best. In her spare time, she enjoys photography and loves to spend time with her family. Ana is the Spa coordinator. Ana has been in the health and wellness industry for 4 years and is extremely passionate about aesthetics and skin care. 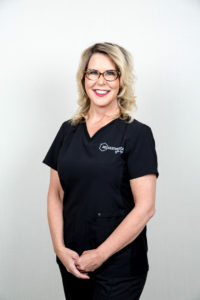 With many years of leadership experience and her strong sales background, she enjoys helping our patients coordinate the best skincare routine to fit each of their individual needs. She has been in the skin care industry for 4 years, making her an expert in customer service and product knowledge. She is also bilingual. Ana is currently attending The University of Houston and is planning to pursue a nursing degree. In her spare time, she can be found enjoying her 3 year old son, Thiago.